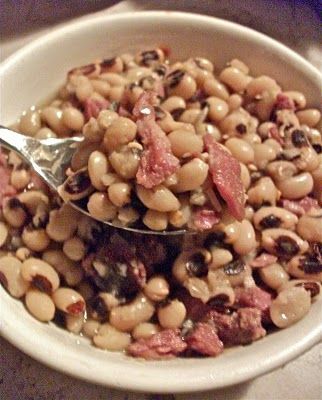 Southern Black Eyed Peas _ This is my Grandmothers Soul Food recipe. It’s a basic recipe for a pot of good ol, Southern black eyed peas. Nothing says Happy New Years better than a pot of Southern black eyed peas & Soul Food collard greens!